Adult Swim, the TV station that hosts my favorite shows on Sunday nights, finally launched the much-anticipated sequel to Robot Unicorn to Google Play. 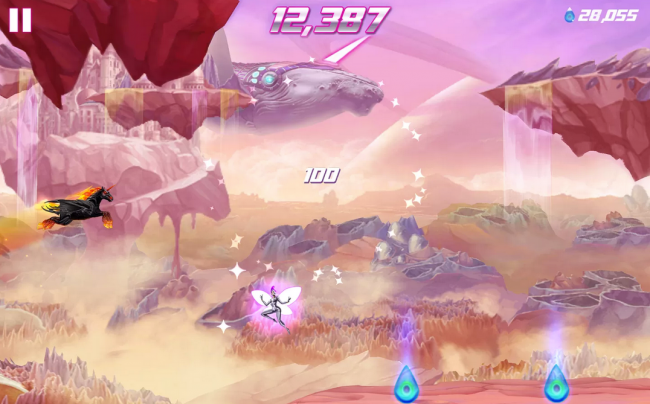 Robot Unicorn 2 brings the same fast-paced mystical beast action, but with some added features and enhancements that make this next step in the franchise a definite step in the right direction. Players can choose between two teams, Team Rainbow and Team Inferno. Hint: go Team Inferno. On top of being able to pimp out the look of your ‘corn, you can get through different worlds with the help of twelve different types of boosts/power ups. If you are ready to battle giant monsters and fly through the skies, go grab it for free on Google Play.